Why Does Netflix Have Regional Restrictions? Can I Use A VPN To Unblock Netflix? Netflix US is best known for two things, high-quality (but geo-restricted) content and its relentless war against VPN traffic. Over the years, the company has implemented numerous security measures to detect and block VPNs, which has made accessing the US version of Netflix from other parts of the world exponentially more difficult. If you simply can't live without Netflix (preferably the US version), you're in luck since our today's list includes five top-shelf VPNs that'll allow you to access your favorite movies and TV shows no matter where you are in the world. Keep on reading to learn more about the best VPNs for Netflix and forget about proxy errors once and for all. ExpressVPN is a highly dependable solution to your Netflix problem. The company also offers IP addresses tailored to Netflix and MediaStreamer DNS for devices incompatible with ordinary VPNs. With over 3,500 servers in 61 countries, NordVPN probably has the widest digital reach on the market. The service can unblock the US, UK, and Canadian Netflix libraries without any problems. CyberGhost is a top-tier Romanian VPN provider that managed to overcome its past problems with Netflix US connectivity and provide its users with a steady and undetectable streaming experience. Getflix is a VPN/Smart DNS service designed to solve all your issues when it comes to bypassing geo restrictions implemented by Netflix and other streaming platforms and accessing their US catalogs. Surfshark is a VPN service that offers blazing speeds and easy access to Netflix on a vast number of servers. It is leak-free and log-free, it supports the safest OpenVPN protocol, and it uses military-grade AES-256 encryption. Netflix catalogs differ from country to country for one simple reason: copyright law. Movie studios have different contracts depending on the region, which is why some series can be available in one country and not in another. This also brings us to local broadcasting rights. Basically, you can’t watch your favorite TV shows on Netflix because your local television stations already have exclusive rights to air them in your country/city. For example, a local TV network in Hong Kong has the rights to House of Cards (the Netflix show), so it’s not available online. It should come as no surprise that the US features the best Netflix catalog in the world. The majority of original content is produced there, so it only makes sense that US citizens would have access to it. Just to put some things into perspective, the US Netflix catalog features around 1,000 more shows than its counterpart in the UK, so when we mention the best VPNs for Netflix, we’re usually talking about the US version. Bottom line, when it comes to Netflix, you’re out of luck if you live outside of the US. Your local TV stations will purchase exclusive rights to TV shows and movies and stretch out every season for as long as they can. In other words, you’ll always be at least one season behind (just look at Vikings, Gotham…), but it’ll most likely be more than that (The Flash comes to mind). This is where VPNs come into play. The best VPNs for Netflix are incredibly valuable tools when it comes to online security and privacy. They make sure your personal data is safe from prying eyes that like to snoop around your Internet connection and give advertisers/governments a much harder time when they’re trying to track your online traffic. The fortunate byproduct of this security setup is the ability to bypass geo-restrictions implemented by popular streaming services. Streaming platforms like Netflix are locked with VPNs in this perpetual cat-and-mouse chase. They’re doing their very best to perfect their anti-VPN mechanisms to recognize and block any VPN traffic and blacklist the corresponding IP addresses. Luckily, streaming services also have to focus on controlling what content users can see in which country, which spreads them a bit thin. High-quality VPNs can indeed hide your true location from Netflix and allow you to access its US library from pretty much any location in the world. The most important thing to note here is that this functionality is subject to change at any given moment. If you intend on using your VPN primarily for Netflix, you should never go for 1-year (or longer) subscriptions. If your VPN of choice gets blacklisted, you’ll pretty much be left with nothing. This is why you should choose your VPN on a month-to-month basis, which will give you the necessary flexibility to cancel your subscription if Netflix blocks your current provider. First of all, let’s explain what it actually means to change your IP address while browsing the web. You can view it as an online astral projection of sorts. In other words, the identifiers put in place by online services will show the locations you want them to instead of the true location of your computer. Geo-spoofing is especially useful if you’re trying to access video content that’s locked in your region. This brings us back to Netflix’s US catalog. Streaming services like Netflix are under constant pressure from copyright holders and content producers to stop geo-spoofing any way they can. This is one of the reasons why Netflix bans proxy or unblocker services and blocks VPNs. The other major reason lies in exclusive licensing deals. For example, at one point, Netflix licensed Game of Thrones only in Australia. In other words, it didn’t pay HBO for its US users to watch Game of Thrones. It wasn’t the company’s fault, though. HBO wasn’t ready to miss out on many potential subscriptions from people in the US who would just watch the show on Netflix if the deal went through. This basically comes down to willpower, expertise, and of course, money. Unblocking the most popular streaming services means going against corporate giants with almost limitless funds, which requires a lot more effort than running a simple VPN. It’s very important to say that not many VPN providers actually comprehend how Netflix and other streaming platforms detect VPN traffic. Most of them wouldn’t go that extra mile for their customers anyway. Some of them don’t have teams with enough technical expertise, some can’t afford it, and some simply don’t care. This is why our list of the best VPNs for Netflix includes only companies with proper funding, staff that actually cares, and seasoned technical pros that keep unblocking US Netflix for us year after year after year. Smart DNS services offer DNS servers you can use for a fee. They basically work like proxy servers by swapping the DNS address of your device and routing parts of your traffic through proprietary DNS servers. You can view them as intermediaries between your device and the website you’re trying to access. They hide your true location and give the chosen webpage what it wants to see through their DNS servers. A Smart DNS service can help you access Netflix, but it doesn’t tunnel or encrypt your Internet traffic. Also, it’ll only change your DNS settings, not your IP address. This means your identity will be visible during your session and your unencrypted Internet traffic can be exposed to different cyber threats. However, this lack of security means it can offer much faster connection speeds, which is excellent for streaming. A VPN, on the other hand, is an entirely different beast. VPN providers feature different servers located all over the world. Once you establish a connection to a VPN server, it will form a tunnel between your computer (or another device) and the Internet. In other words, VPNs create concealed pathways for your Internet traffic to travel through. They also add an extra layer of security by introducing encryption, converting your traffic into alphanumeric characters unreadable to the naked eye. VPNs additionally cloak your real IP address by showing the IP address of your chosen server, which means you’re effectively changing your virtual location as far as Netflix is concerned. As the unofficial “king of streaming,” Netflix has grown ever more vigilant when it comes to identifying and blocking VPNs from accessing the site. Even if you manage to avoid the dreaded proxy error today, there is no guarantee you’ll be able to avoid it tomorrow. “Netflix blocks all VPNs some of the time and most VPNs all the time” is the perfect illustration of the current state of things. Unblocking Netflix is simply too challenging for many VPN providers, so most of them eventually give up. Our list of the best VPNs for Netflix introduces providers that have managed to keep Netflix unblocked for years. They have enough money and expertise to push against the anti-VPN measures put in place by famous streaming platforms and they simply care about their customers. They have all met our rigorous list of ranking criteria, which we’ll share with you in order to further familiarize you with our ranking process. As we already mentioned, VPNs feature a network of servers you can connect to and create a safe tunnel for your Internet traffic. Naturally, the wider the network, the better. We want to see VPN providers that cover a lot of different locations all over the world. The server number should ideally be in the thousands and the company should have a policy of constantly adding more to the roster. Dedicated streaming servers are also a very convenient nice-to-have. We already said that VPNs always affect your speed to a degree. The difference between the best VPNs for Netflix and mediocre providers is the difference between seamless streaming and grinding your Internet connection to a halt. You might want to experiment with different security settings that’ll allow you to stay safe online while avoiding significant drops in speed. If you don’t have any previous experience with VPNs, connection protocols, manual configurations, and encryption, however, this is not recommended. Basically, we wanted to provide you with VPNs worthy of your time – VPNs that won’t frustrate you with endless buffering. A good Netflix VPN will keep you perfectly safe while providing you with a seamless streaming experience, even in HD. A good VPN will have an abundance of features designed for perfect streaming and unblocking dedicated platforms. These features include dedicated streaming servers, custom protocols (StealthVPN comes to mind), specialized DNS addresses, and static IPs. Most VPNs offer a certain number of shared IPs and only some of them feature static IPs sold as separate premium add-ons. Shared IPs can be used by thousands of users simultaneously, which is excellent for online security in general since governments, companies, and hackers can’t exactly pinpoint your identity or location. It is, however, abysmal if you want to bypass geo-restrictions implemented by Netflix. Netflix mechanisms will spot numerous users connected through the same IP address and blacklist the said address before you can hit play. When it comes to the best VPNs for Netflix, the technical side of things will fail you from time to time. When this happens, you need to have access to competent and professional user support that can answer all your questions and resolve your issues. Whether you just want to know about new Netflix-friendly servers, need help with an unknown error or wish to confirm that your VPN is currently unable to access Netflix, helpful and competent user support is a staple of all the Netflix VPNs we included on our list. Our goal is to help you find the best VPN for Netflix that suits both your needs and your budget. What follows is a complete overview of the pricing options offered by VPN solutions that made it to our top list. Browse the table below and discover how our top picks compare to one another in terms of affordability. We have chosen the best VPN services that satisfy all of our selection criteria. Now it is time to explore our top picks in greater detail and find out which one is the best fit for you. Read the mini-reviews below, discover the key features of our top-rated VPN services for Netflix, and decide which one is the right match for your needs. ExpressVPN is another trustworthy Netflix unblocker that also allows you to access the Netflix catalog designed for American Samoa, which contains 95% of titles. ExpressVPN is lightning fast, which is perfect for HD streaming. Although it doesn’t offer dedicated IP addresses, it does feature IPs dedicated to unblocking Netflix that work consistently. The company also features dedicated streaming servers and DNS addresses for game consoles and Apple TV. It currently has more than 1,500 VPN servers spread across 94 countries. This is a wide-enough network to make sure you can always find a suitable server that’s not overcrowded with users. 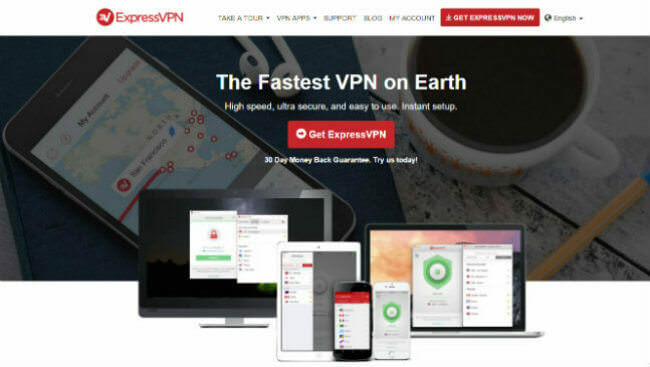 ExpressVPN supports OpenVPN, PPTP, L2TP/IPsec, and SSTP connection protocols and offers military-grade AES-256 encryption. The company is registered in the British Virgin Islands. It currently allows up to three simultaneous connections and offers its subscription plans with a 30-day money-back guarantee. NordVPN is your best bet if you need a user-friendly VPN service that has been able to access Netflix US throughout the majority of its existence. The company currently features 3,557 servers across 61 countries, which is one of the most impressive VPN server networks on the market. This means that wherever you are, you’ll be able to find a server that’s geographically close to you and connect to the US version of Netflix through a safe tunnel. NordVPN supports OpenVPN, PPTP, L2TP, and IPsec connection protocols and provides its users with two layers of encryption. It keeps zero logs and offers both shared and dedicated IP addresses. Given its extraordinary security setup, NordVPN offers amazing connection speeds and also incorporates a smart DNS service. Its customer support is nothing short of impressive both in terms of availability and competence. CyberGhost is a renowned Romanian VPN provider that was initially launched as an unblocking service way back in 2011. The company has always paid great attention to allowing its users to access streaming platforms outside their countries of origin and overcoming defense mechanisms implemented by Netflix, Hulu, and other popular examples. In 2017, CyberGhost did hit a bit of a snag when Netflix US started recognizing its servers and flagging them as proxies, but this is no longer the case and its VPN service functions without a hitch. Apart from allowing you to stream Netflix US pretty much anywhere in the world, CyberGhost also comes with extraordinary speeds, unlimited bandwidth and traffic, over 2,500 servers in 57 countries, an auto killswitch, IP and DNS leak protection, a strict no-logging policy, AES-256 encryption, several connection protocols (including OpenVPN), up to 7 simultaneous connections, excellent platform support, and a 45-day money-back guarantee. As its name implies, Getflix is a VPN provider designed to allow you unlimited access to popular streaming platforms like Netflix, Hulu, and others. Getflix IPs were blacklisted by Netflix at some point, but the servers now work perfectly fine. Getflix currently features 92 servers in 38 countries, which is not all that impressive, but it definitely gets the job done. You can always use its 14-day free trial and simply keep moving if you don’t like what you see. As far as connection protocols are concerned, the company supports OpenVPN (UDP), PPTP, L2TP, and SSTP. It also encrypts your Internet traffic with AES-256 cipher. The service is designed for streaming, so it’s optimized to balance between adequate security and amazing connection speed. If you’re visiting trusted sites, you can use the incorporated smart DNS service and get rid of security features to get more speed. Surfshark is a VPN provider based in the British Virgin Islands, an ideal location for a zero-logs VPN. It is perhaps best known for its amazing speeds that allow you to stream HD content glitch-free. It effortlessly unblocks all the most popular streaming services, including Netflix, Hulu, and BBC iPlayer. What we found particularly impressive is that the service does not limit your choice to a few Netflix-friendly servers. In addition to a seamless Netflix streaming experience, the service provides top-notch security and privacy. It supports OpenVPN and IKEv2 and boasts enterprise-grade infrastructure and unbreakable AES-256 encryption. Other mention-worthy features of this exceptional VPN include multi-hop connections, zero-knowledge DNS on all servers, leak protection, a killswitch, and CleanWeb, its dedicated protection against malware, trackers, and ads. With over 800 servers in 50 countries, its server network is praiseworthy as well. Surfshark offers a 30-day money-back guarantee and large discounts on longer subscriptions.